Beryllium diffusion typically brightens the color of ruby or sapphire, making a stone more yellow, orange, or red, depending on the original color. Because the color change can go all the way through the stone, the treatment is more difficult to identify than traditional diffusion, which is an easily-detected surface treatment. 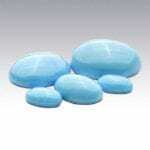 When beryllium diffusion was first introduced to the market in 2001, uncertainty about disclosure created a controversy that led to a sharp drop in prices for the diffused stones. Today, beryllium-diffused corundum sells for a fraction of the price of its natural or heated counterparts. Well worth a fresh inspection under the loupe is some fine blue spinel currently on the market. An ancient group of related minerals, spinel likely owes its name to the Old Latin sintill — from which the word scintillation was derived. And a good descriptive name it is. If you havent considered blue spinel for a fine jewelry piece, remember that its density assures a high polish when faceted. Rating an 8 on the Mohs scale, this gem doesnt need to be coddled in protective mountings, either. A year ago, there wasnt much new to be said about tanzanite, the oven-blued zoisite found only in its namesake country of Tanzania. 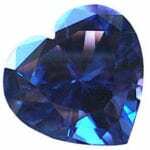 Known to be benignly heated from brown to blue since its discovery in the mid-1960s, tanzanite was one of the gem worlds safer, most worry-free precious stones. Then, last summer, this gem suffered its first major gemological scandal. Kenya s new color-change garnet performs miracles in different lighting environments. In fluorescent light, it looks the bluest any garnet has ever looked; in incandescent light, youd swear it was a very fine alexandrite. Morgan Beard, the editor-in-chief of Colored Stone magazine examines the current world mining production of Ruby ‘ Sapphire, Emerald, Tanzanite, Tourmaline, Garnet, Topaz and Opal. Imagine, if you will, two colored stones. Both exhibit good color. Both are relatively inclusion free. Both tip the scale at about the same weight. But one was cut better, and it’s simply more beautiful. Should you pay a premium price for it? Conventional wisdom holds that the answer is yes. Obtaining a good cut usually means greater weight loss in cutting and higher pay for a more skilled cutter, expenses which can only be recovered through a higher price or a lower profit margin. In theory, the market should be willing to pay a premium for the beauty of a better cut. Historically speaking, gemstone mining has always been hit or miss. When miners make a big strike, gemstones flood the market, prices fall, and smart dealers stock up, because inevitably the pocket will get mined out and prices will creep back up again. 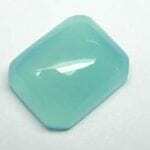 That rush of discovery, the thrill of seeing some new and amazing piece of nature coming onto the market, is one of the driving forces of the gemstone market. But lately, gemstone mines around the world have been missing more than they hit, according to gemstone cutters and wholesalers. For nearly two years, rough production worldwide has been soft, goods are harder to come by, and prices are rising in many gem categories. GIA recently released a video that provides an overview of lead glass-filled rubies and explains why it has begun to call them a “manufactured product” on reports. 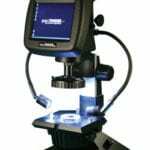 The video, which was created to educate the trade and public, also covers how to identify lead glass-filled rubies with a microscope and how to care for them. 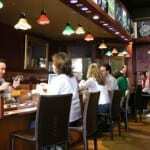 This article offers an in-depth understanding of this material. It’s called moissanite and it’s described as a proprietary, nearcolorless, lab created gemstone. It’s visually almost identical to diamond, and has, due to the unusual marketing approach taken by its producers and their success with it, created quivers throughout the industry. This is an exciting era for gemologists. High-tech analytical techniques now make it possible to identify trace elements, treatments, and origins of colored stones that could only be guessed at decades ago. 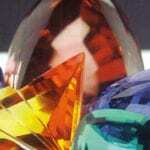 For example, when the gem world was rocked last fall by mysterious, processed orange sapphires coming out of Chanthaburi, the Gemological Institute of America (GIA) relied on two of these high-tech procedures – Laser Ablation Inductively Coupled Plasma Mass Spectrometry (LA-ICP-MS) and Secondary Ion Mass Spectrometry (SIMS) – to discover what elements could be causing the surface color. Shot through with copper, sunstone from this locality has mesmerized miners and designers alike. It has inspired vacation rockhounds to put down stakes in Oregon’s mining country, and has spawned a hearty fraternity of diggers determined to bring the Oregon state stone into the sunlight. If we needed more proof that our society is obsessed with celebrity style, we have only to look at the spectacular success of pink gemstones in retail stores this year. Last year was the year of pink in clothing and accessories, from Hollywood red carpets to Milan runways. 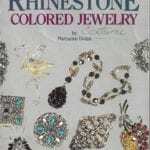 That demand extended to gemstone jewelry, according to the 2004 survey of retail jewelers conducted by Colored Stone. Fancy sapphire, including pink, was the second best-selling stone last year, say the nation’s retailers. The marketing slogan ‘All Natural’ has been used for years to advertise products from cereal to shampoo. Now some gem dealers are using it to market their natural, unenhanced gem material – and to distance themselves from negative publicity over treatments. Why not take advantage of the fact that stones like garnet, peridot, and sunstone not only are unenhanced, but can’t be improved with treatments? After watching the price of small-sized yellow and orange sapphires tumble because of the controversy over diffusion treatment, some gem dealers are creating a marketing niche for people who want an absolute guarantee their purchase is not enhanced. 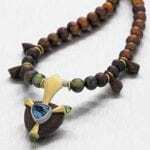 For the residents of South Africa poorest neighborhoods, jewelry makes for a fresh start. Until 10 years ago, global economic sanctions against South Africa generally forced South African companies to keep their manufacturing in-house out of necessity. Post-apartheid, after sanctions were dropped, the rand remained relatively weak against most foreign currencies, again necessitating domestic manufacture. It comes as somewhat of a surprise, therefore, to hear that the consensus among South African jewelers is that there aren not enough of them in the first place. When a maid steals a $250,000 gold and diamond necklace from a famous rappers hotel room, only to find that those diamonds are actually CZs, it puts the hotel manager in a state of panic. Sure, he feels good about recovering the stolen necklace. But how does he prove its the same necklace the rapper paid a quarter of a million dollars for, thinking it had white and canary diamonds set in it?. The decade of the ’90s put spessartite garnet on the map. 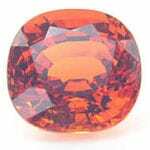 Once a rare collector’s gem, the brilliant orange garnet burst on the scene in 1991, when a deposit was discovered in the rugged mountains of northwestern Namibia, and again in 1999, with a seemingly bottomless find in the remote bushlands of Nigeria. Suddenly, enough spessartite was being produced from these and other sources to market it to mainstream jewelers. Prices dropped and jewelry lines began to feature the stone. Unfortunately, this dealer’s dream ended almost as quickly as it began, as by 2001 the African alluvial deposits had mostly dried up. Today, spessartite is again rare, and prices are rising as supplies dwindle. 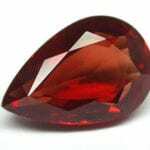 High quality ruby is being mined in the province of Rukwa , in the southern highlands of Tanzania , according to local sources. Miners in the region are calling the material “Burma” or “pigeon blood” ruby, a reference to the most desirable colors on the market today. While a worldwide shortage in gem rough sends prices spiralling upward, gem deposits in Africa are lying unworked, or underworked, due to lack of development funds. A prime example of the problem is northern Tanzania — including the well-known tanzanite mines at Merelani. All-natural Oregon sunstone and similar-looking treated andesine once sold as natural are locked in apples-and-oranges competition that is both unfair and unnecessary.Until recently, brick- and salmon-red sunstone — both clear and with schiller –were rarities. True, renewed mining of this feldspar in Oregon — generally conceded to be the source of the worldâs best sunstone — brought more fine colors on the market than had been seen in years. But fine stones cost at least $100 per carat, usually far more. Then, in early 2007, look-alikes costing $40 per carat suddenly hit the market in impressive numbers. None of its sellers called it sunstone. Instead, most called it andesine, which is a first cousin of labradorite (the scientific name for sunstone) in the plagioclase series of feldspars. [Plagioclase consists of six species, identified according to the ratio of calcium to sodium — their two predominant chemical components.] This next-of-kin gemological status invited many consumers to think of andesine as an affordable alternative to pricier Oregon sunstone, especially because sellers swore it was all-natural. 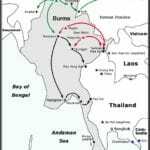 Gem smuggling, The term evokes pictures of swashbuckling pirates and trench-coated international spies. The reality is far more gritty and physically dangerous on an individual level. Real smugglers, known as “mules,” often carry stones from the mine over treacherous terrain by foot, horse, or motor scooter to gem brokers in bordering countries who sell to international buyers. Those international buyers may themselves become smugglers, bringing the gems into their home country illegally. Orange and red stones of every kind stood out at this years sensory-overloaded Tucson gem and mineral shows, but one major puzzle for gem lovers was an orange-red feldspar with an identity crisis. At one exhibit, the dealer called the stone andesine from the Congo. His finest specimens were comparable in price to the best-quality tanzanite. 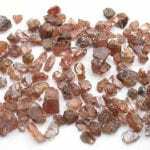 Other companies also sold the stone as andesine, “Congo sunstone,” “red labradorite,” or occasionally the more factual “red feldspar.” And just to make things a little more confusing, the same material is also found in green. The prices were literally all over the map. A Tucson vendor confessed that he and his colleagues snoop out their competitors prices. Within three days, they adjusted their pricing to be more competitive with each other.